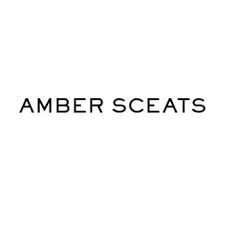 Find here Amber Sceats coupons and vouchers. Founded by daughter and mother team Amber & Jeanette Sceats, Amber Sceats jewellery combines timeless sophistication with versatility. The range combines fashion trends of the past and present to create an eclectic high fashion. Amber Sceats founded her self titled accessories company in 2012. Since launching in Sydney, Amber quickly gained a high profile in the media spotlight as one of Australia’s most dynamic designers. Heavily influenced by her appreciation for art, travel and architecture; AMBER SCEATS is an ode to the abstract. The underlying ‘rock’ element throughout her collections make the pieces uncompromisingly contemporary whilst simultaneously timeless. The quality and range of the Amber Sceats collection is testament to their experience in design and fashion production. AMBER SCEATS delivers jewellery around the globe. Our jewellers take care to inspect and ensure all orders are in perfect condition. All jewellery is then packed in a signature AMBER SCEATS box and/or pouch before being delivered to you. If for an unforeseen circumstance your jewellery arrives in a damaged or less than perfect condition, you must notify us within 48 hours.